The Program Manager for the Berkeley Blockchain Initiative will manage a 5 year partnership with Ripple to advance academic research and student engagement, technical development and innovation in blockchain, cryptocurrency and digital payments. Project areas include faculty, graduate and undergraduate research grants, experiential learning opportunities, campus events and student activities, on the diverse applications of blockchain. The initiative will engage a broad range of campus stakeholders working in the blockchain space and requires building and managing relationships with diverse faculty, departments and schools across UC Berkeley. Reporting to the Executive Director of IBSI with collaboration from the Executive Director of MFE, the Program Manager will work closely with the Faculty Research Committee of the Berkeley Blockchain Initiative to allocate research funds, set strategy and coordinate all aspects of programming to advance the Ripple partnership. In addition, the Program Manager will coordinate a Blockchain Advisory Board and oversee financial management, metrics and reporting, partnership building and resource allocation to ensure all elements of the Initiative are delivered successfully. In addition, the Program Manager may oversee other impact finance activities run by IBSI. Work with Faculty Research Committee to award research grants, develop programs and allocate funding per terms of Ripple partnership. Identify and engage campus experts to provide thought leadership to ensure programmatic success. Help manage and engage an Advisory Board of industry experts to inform and guide the Initiative. Oversee execution and successful delivery of activities related to blockchain & impact finance. Develop annual strategy and work plan. Develop KPIs (key performance indicators) to document progress and impact to funder. Manage supporting staff who may be hired to support Ripple programmatic activities. This might include an event planner to organize a signature conference. Develop detailed program budgets for each programming area. Ensure all projects are financially viable and completed on budget. Prepare annual funder report documenting expenditures and programmatic milestones. Develop cross campus partnerships to engage key faculty, programs and schools to promote blockchain. Work with Haas MarComm and Ripple leadership to develop a communications strategy that reflects spirit of partnership and contributions in blockchain research and innovation. Identify opportunities for Faculty Committee members, IBSI and MFE Executive Directors and Program Manager to represent Blockchain Initiative across campus and in community. Maintain close communication with students and student clubs and organizations working in impact finance & blockchain. Experience managing large, complex programs, preferably within an academic setting. A passion and relevant experience for promoting and fostering innovation around fintech, blockchain, cryptocurrency and related fields. Demonstrated leadership building collaborations across diverse external and internal stakeholder groups. 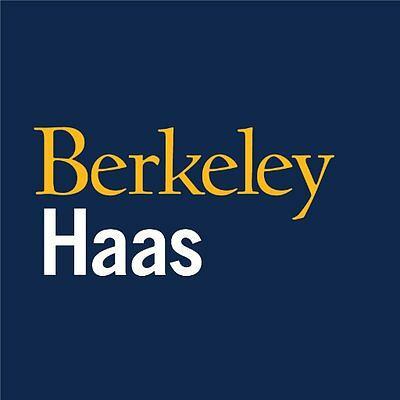 Expert ability to collaborate, influence and lead UC Berkeley faculty, staff and students. Familiarity with academic research, publishing, and thought leadership. Outstanding financial and administrative skills. Proven ability to problem-solve, prioritize, multi-task, and clearly communicate priorities and deadlines. Have passion for our mission and a strong desire to drive blockchain innovation among a diverse set of stakeholders. Be a proactive and innovative thinker who achieves results and creates positive change. Have a high level of personal and professional integrity and trustworthiness. Embrace diversity and a commitment to collaboration and excellence. Bachelor’s degree, with MBA or master’s degree in related field preferred or equivalent of experience.